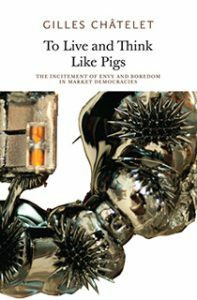 An uproarious portrait of the evils of the market and a technical manual for its innermost ideological workings, this is the story of how the perverted legacy of liberalism sought to knead Marx’s ‘free peasant’ into a statistical ‘average man’—pliant raw material for the sausage-machine of postmodernity. Combining the incandescent wrath of the betrayed comrade with the acute discrimination of the mathematician-physicist, Châtelet scrutinizes the pseudoscientific alibis employed to naturalize ‘market democracy’ and the ‘triple alliance’ between politics, economics, and cybernetics. 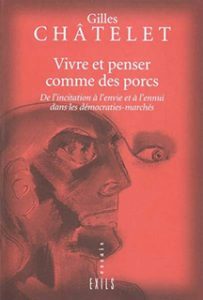 Crucial reading for any future politics that wants to replace individualism with individuation and libertarianism with liberation, this new translation constitutes a major contribution to contemporary debate on neoliberalism, economics and capitalist subjectivation.